As I’ve communicated before, since Gary Johnson got <5%, he does not qualify as a significant third-party for the Keys to the White House. Therefore this model corrected for the final vote predicts Clinton=51.5% which is actually closer than the number you have. But as you have previously stated, this has no bearing on the Electoral college winner. This year, as I recall, the undecided voter was three times as high as previously. 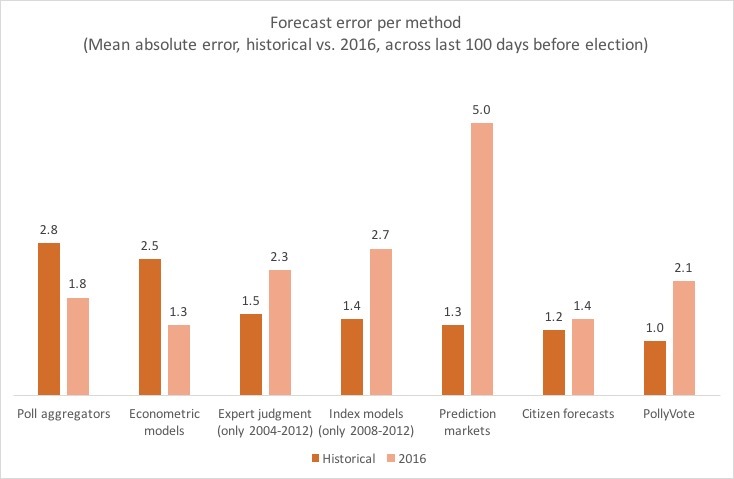 Final results suggest that polls corrected for late deciders in Pennsylvania, Florida and Michigan get very close to the final result and correctly predict the winner in each state (see the WaPo) – meaning it was the undecided voter who makes polls look apparently not accurate. So…. the devil really is in the details regarding the eventual winner. And polls, corrected for the late decider, were accurate after all. Great! It’s good to know that taking a poll closest to the actual election reflects the most accurate result of the election. How does this differs from the election itself? Given that Donald Trump ran a race somewhat equivalent to Sea Biscuit, the famous race horse, they’re not of much help. It seems to me as Litchman asserts, it’s about governance and the public’s perception of it. The Republicans spent 8 years “successfully” discrediting Democrat governance at every level. Every program and administration move was challengened, delayed, and refuted where ever possible. The only chance the Democrats would have had, would have been for Obama to have campaigned continuously against them to shift failed governance to them. That strategy was not a consideration, because Trump was not taken seriously early, and the other more familiar candidates were pretty lackluster and narrowly focused, tarred by bad governance themselves. Sea Biscuit won. 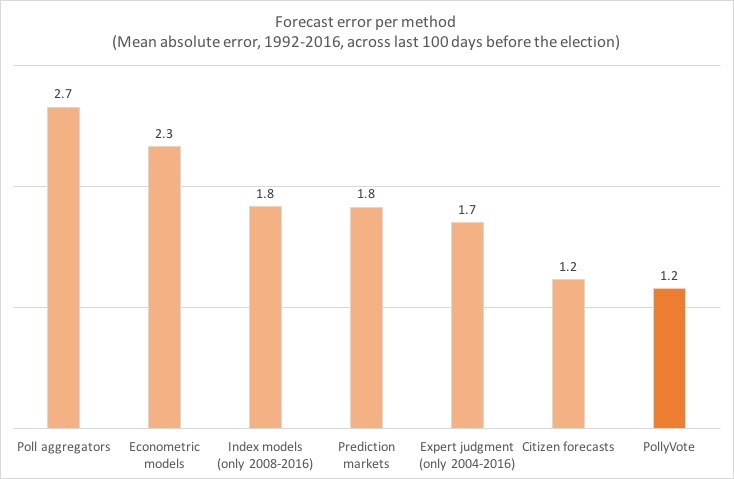 Previous Previous post: A terrible day for election forecasters. Where are the winners?